Eamon Cassells is a young farmer from Athboy Co. Meath, Eamon is well known in the community due to his involvement in Macra na Feirme, where he sits on the National Ag Affairs Committee plus on the National Council. Eamon also works for NCBC as a lab technician while running a Suckler to Beef enterprise on 104 acres of heavy but productive land outside Athboy. "This was a Dairy farm with a beef enterprise attached up to 7 years ago" says the Meath man "we were milking 30 cows and finishing all bull calves and beef heifers that came from the dairy enterprise. We've used 100% AI for the past 30 years and have always used Progressive Genetics (NCBC) bulls. We have a great technician here in John Tuite so we've never been tempted to go down the DIY route." The nucleus of the suckler herd was BBxFr heifers from the original dairy farm. "We had a mainly British Freisian herd so the blue heifers from the old dairy herd made good suckler cows. Temperament, milking ability and calf quality was/is very good with these cows. The only trade off is calving ability but that's the beauty of AI. You can mix and match bulls to suit your cows and PG have plenty of bulls to that have proven calving ease without sacrificing on quality." Some past stars of the Progressive panel have left their mark on Eamon's herd. "Those original heifers were all either out of SRI - Strupar or VAP - Valentin (both BB bulls). The SRI cows in particular are still the top performers in the herd. Those cows were crossed with REQ - Requin (LM) and FL22 - Archibeau (LM) which brought small calves but big carcasses, which is what you want." 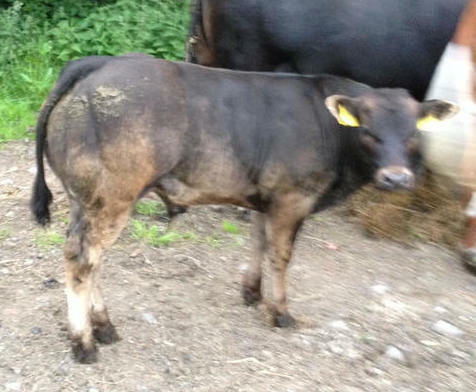 "GJB - Jumbo King (AA) has worked well on heifers for me. Great growth rates and easy finished. If you are looking to finish September born bullocks off grass, I can't think of a better bull. ADX - Ardlea Dan (LM) in my eye is probably the best commercial Limousin going for cows. Great width with well developed back ends. APZ - Apostle (SI) offspring are living up to their reputation for being easily finished. Unfortunately, I havent had any heifers from him to see what he's like for maternal traits but his calving and terminal traits are great." In recent years Eamon has dipped his toe into using Parthenaise. How does he find Progressive's selection? 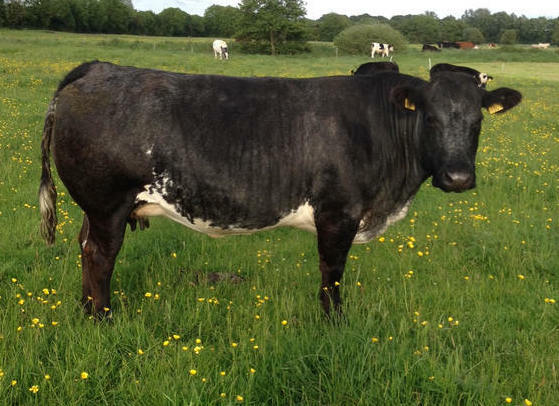 "I used a good bit of IRX - Sirex when he was available and he gave great growthy cattle and suited me just fine for finishing but wouldn't have had the muscle for export. Hurricane Gonzo - ZGH is a different story altogether. He is pure muscle machine. I'll definitely be using a lot more of him. I have some nice VUL heifer calves, so I look forward to seeing how they turn out as he has some good maternal figures coming from France." And on the Pedigree Front? 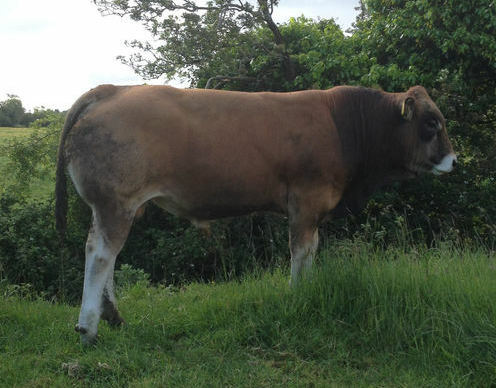 "I have a lovely Bourvil (S1363) bull coming up now. With me working off farm, I just don't have the time to pamper the pedigrees so this lad has had no meal since the beginning of April but I'm really impressed with how he's doing on grass. With both my pedigree and commerical cattle, I have no time for hard calving bulls. A fancy dead calf is no use to me, so the fact that Bourvil can deliver quality and calving ease is exactly what I'm looking for." "I suppose I was looking for something different and when I saw Parthenaise bulls at Tullamore I decided to chance my arm. No breed is brilliant at everything. Anybody that tells you otherwise is probably trying to sell you a bull. Limousin are probably the benchmark breed due to their wide usage and versatility. I'm finding that I'm getting more muscle and better growth rates from the Parthenaise than my Limousin stock but Limos would trump the Parth on Maternal traits. Its horses for courses but Parthenaise would be my first choice for terminal sire now." Thanks for your time Eamon, really appreciate it and all the useful insights. 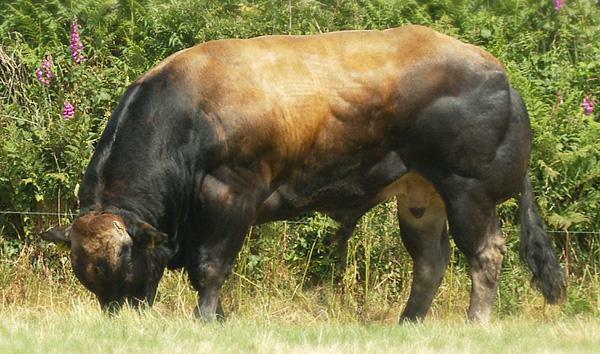 Check out Progressive Genetics' five available Parthenaise bulls here.